LOCAL fight fans will now be able to watch the UFC on Cignal and Sports5 starting next month. Sports5 announced on its Twitter account that fights of the premier mixed martial arts outfit will now be carried in the Philippines by Cignal and TV5 after several years of its fights being aired on ABS-CBN Sports and Action 23 on free television, and Balls Channel on cable. Cignal will actually aired the UFC bouts live, while Sports 5 is going to broadcast the same telecast on a delayed basis. The development comes on the heels of an announcement that Balls Channel will cease to air at the end of the year. Balls is owned by ABS-CBN and was the home of the UFC for several years. “We regret to inform you that Balls channel (SD and HD) will cease to air, and have its last intended transmission date on December 31, 2015 at 11:59pm,” the outfit said in a statement to Skycable and Destiny Cable subscribers. 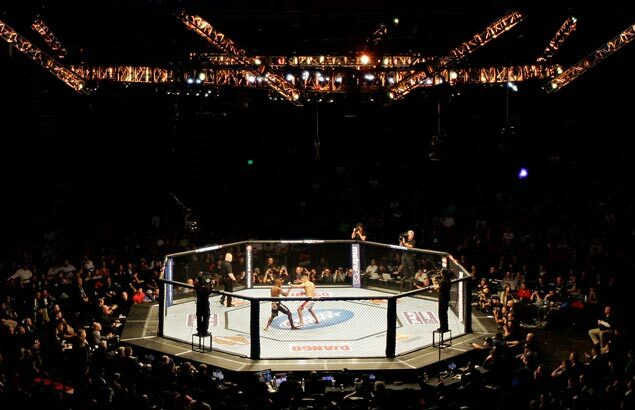 “After many years of being the home of the biggest sports content, particularly the unparalleled coverage of Ultimate Fighting Championship (UFC) to the delight of MMA fight fans in the Philippines which has gained a critical mass, and distributing the Balls channel nationwide, Creative Programs Inc. (CPI) has provided contractual notice that their sports agenda will move forward to another direction."